Chili is a spicy stew with meat, beans or a combination of the two as the main ingredient. Chili often includes tomatoes and always includes some sort of seasoning incorporating dried hot peppers. It originated in the American Southwest -- Texas stakes a claim -- but has spread throughout the country and beyond. Recipes vary widely from region to region and cook to cook. Spicing, similarly, encompasses a range of flavorings. Start with some basic building blocks and find a blend that suits your particular tastes. For the simplest of chili seasoning you don't need more than a chili powder blend. Commercial chili powders usually consist of cumin and cayenne or other dried chilies, often with the addition of garlic and onion powders, salt and oregano. 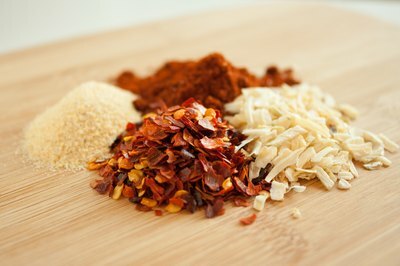 You can always blend your own custom chili powder from these ingredients and keep it in a jar for future use. The backbone of all chili seasoning is built from ground chilies. 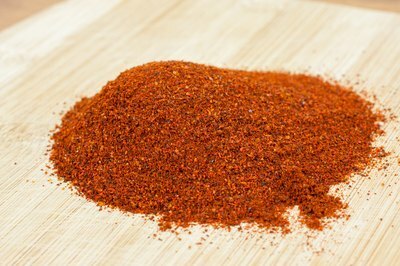 Ground cayenne pepper is the most common and easiest to obtain, but it's far from the only option. Ground chilies provide the spicy heat to your bowl of chili. Try ground, dried habanero or bird's eye chilies for a bigger kick. Certain peppers such as guajillo chili or mulatos can provide a fruity undertone as well. Peppers such as chipotle and ancho will add their smoky note to the dish. 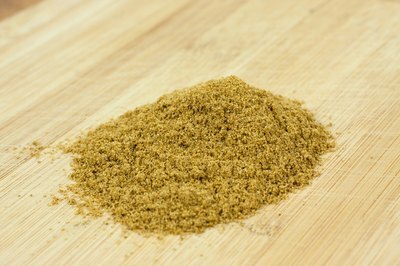 Ground cumin is the other workhorse spice when it comes to flavoring chili. Cumin is the most popular spice in the world. It has a warm, woody, slightly bitter character with notes of lemon and a strong aroma. Cumin fills out the bottom of a bowl of chili's flavor profile, balancing ground dried pepper's brightness. 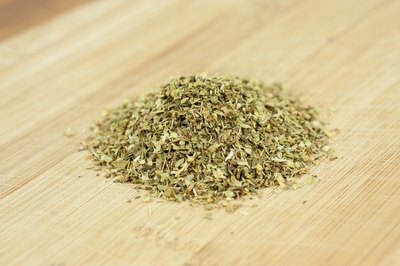 Despite the similar name, Mexican oregano comes from a different species than Turkish or Mediterranean oregano and has a different flavor profile as well. It has an earthy, pungent quality balanced by notes of anise and citrus, resulting in a lighter, brighter flavor. 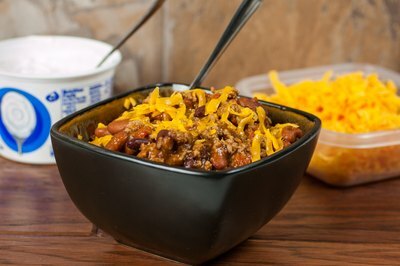 Mexican oregano adds both top and bottom notes to a bowl of chili. Coriander is a spice that, used in small amounts, can add both an earthy and a fruity character to a dish. 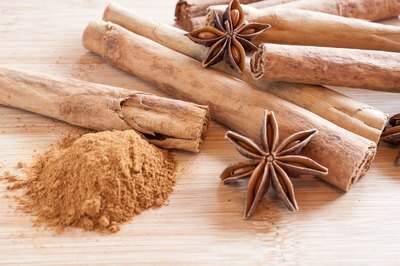 Cinnamon adds a warm and slightly spicy note to chili; add only a small amount so that the flavor isn't too pronounced. A single star anise is subtle enough to enhance the flavors of beef without its licorice flavor standing out. Cloves add both a haunting fragrance and a slightly numbing quality to the dish. Some recipes add cocoa powder or shaved dark chocolate to the pot, in the style of a Mexican mole sauce. The chocolate should be either bittersweet or unsweetened. It adds depth and richness to the finished dish, plus a hint of bitterness.